Redwood is a warm and hospitable place where guests are able to ease out of the rigors of daily life. Our rooms and accommodations are simple and well-appointed, free of distractions and clutter. Each year, we serve up to 200 Christian groups and churches ranging in size from 10 to 425. Guests will enjoy the warmth of our staff and our desire to earnestly serve from beginning to end. 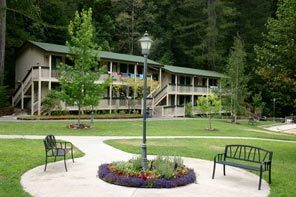 Amid 290 wooded acres in the Santa Cruz Mountains, we offer four levels of accommodations that suit all preferences and pocketbooks. Groups generally offer a mixture of options for their guests, or you can focus on a particular style of rooms or cabins. Private homes with multiple bedrooms, bathrooms, a full kitchen and living areas. Each is decorated nicely, most with fireplaces and outdoor decks and all with cozy chairs and couches. Linens and towels are provided for these popular accommodations, most suitable for special guests. 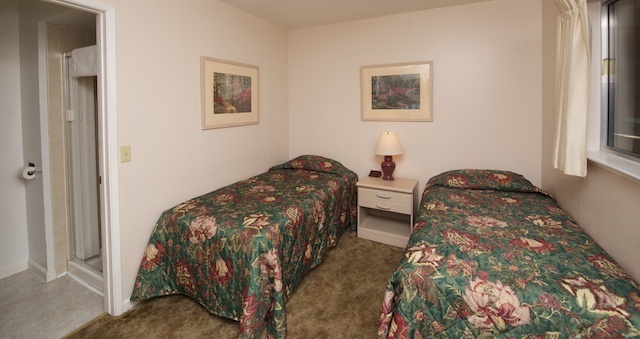 Evergreen and Berea Lodge offer heating and air-conditioning, private bath with linens and towels provided. Rooms feature one pre-made queen bed and one pre-made twin bed or one pre-made queen bed with a double bunk (bunks are not pre-made). Meadowview Lodge features pre-made beds and private bath, with one queen bed and one twin. Rooms in Cathedral and Hillside provide private bath, one double bed and one twin bed, or two twin beds. Linen and towels are provided for all guests with pre-made beds. Redwood Lodge is a shared bath facility with either one or two pre-made double beds per room. Linens and towels provided. Air-conditioned with private bath, deluxe cabins provide one bunk-style double and seven bunk-style twin beds, a great place to cultivate fellowship and friendship throughout your stay. Linens and towels not provided. Faith/Hope/Charity cabins provide extra bathroom space and double sinks. Carpeted, heated with private bath, with one bunk-style double and 7 bunk-style twin beds. Maximum 8 guests per cabin, linens and towels not provided. 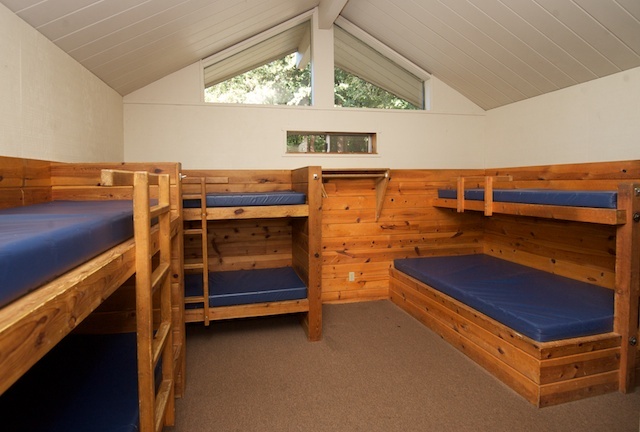 Classic cabins provide one double bunk-style bed with the rest being twin bunk-style beds accommodating 4-8 guests. Each cabin features private bath, linen and towels not provided. For other recent photos, check out our Accommodations Album on the Redwood Christian Park Facebook page. With 13 different meeting rooms, your group is sure to find the perfect fit. Many with fireplaces and some with outdoor decks, all are well-situated for convenient access to the dining hall and recreational areas. Simply furnished, there is a lot of room for you to personalize the space as you desire. All rooms come equipped with a TV/DVD/VCR, whiteboard and markers, and as many 6-foot tables and chairs as you request. Our larger meeting rooms have sound systems included, and other AV equipment is available upon arrangement. Weekend rates include meal service in our spacious dining room, complimentary usage of meeting space, use of all seasonably available recreation equipment, fields, courses and swimming pool. Use of our lounges, outdoor amphitheaters and campfire circles are also included.